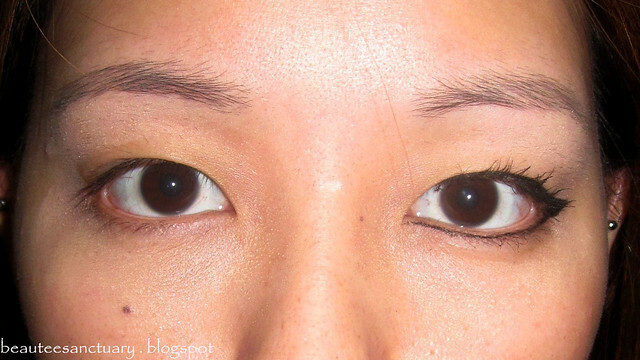 It is unfortunate that most of us Asians have smaller eyes compared to Caucasians. But thankfully, something awesome has been invented by human beings that can help us make our eyes look bigger! And that is MAKE UP!!! Now if you ask people, how to make your eyes look bigger, they will most probably tell you EYE LINER. However in my opinion, there is actually a certain way to draw the eye liner to make it look bigger. If you apply the eye liner the normal way, for my eyes at least, you will not see a difference! (From your angle) My left eye has no make up at all except for some high light under the eye brow. 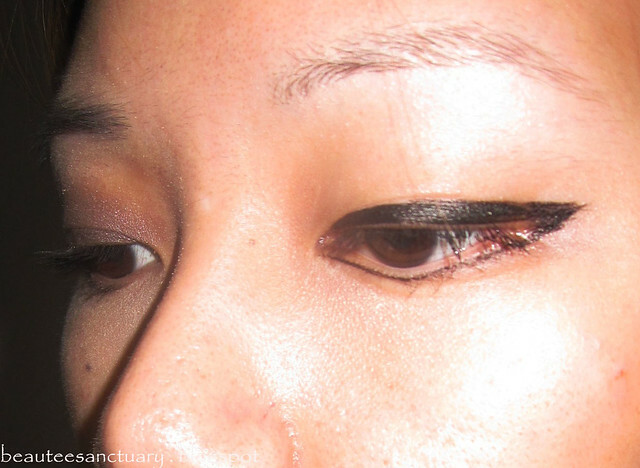 Right eye, I applied my eye liner the normal way, on both upper and lower lids. Does the right eye look bigger than the left? From what I see, NO. This is the proper way to apply eye liner to make your eyes look bigger. If the way it's applied looks normal to you other than the "wing" at the side, you need to look properly. With Mascara. Mascara helps a lot in making our eyes look bigger. Other than Eye Liners and Mascara, you can too make your eyes look bigger with just Eye Shadow+Mascara. 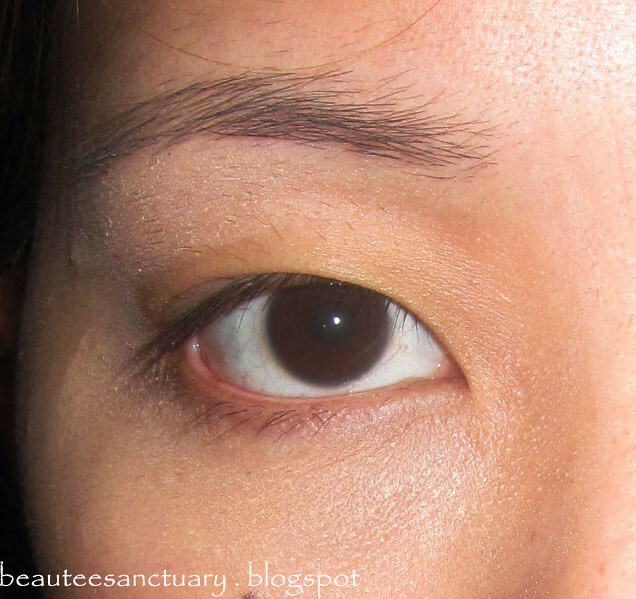 Left side: 3 tones of Eye Shadows+Mascara. Forgot how my natural eye looks like?